Is it time to refresh your current business website, or perhaps create a brand new one? To make the most of your project, it’s best to go in with a consistent website content strategy. But, how do you create a seamless strategy when working with multiple voices on one team? You’re left open to conflicting information: Conflicting information often derails the website project due to confusion causing unnecessary edits, changes and revisions. Your team brings preferences to the table that don’t mesh well: Everyone has a preference when it comes to content or design. But, not all of them will work together to properly communicate your brand. You’re left with a website that’s generic and fades into the background: When everyone’s on a different page, you’re left with a website that doesn’t sound like you and your unique voice. A website that doesn’t speak well will succumb to the competition. The good news is, your project doesn’t have to suffer these consequences. 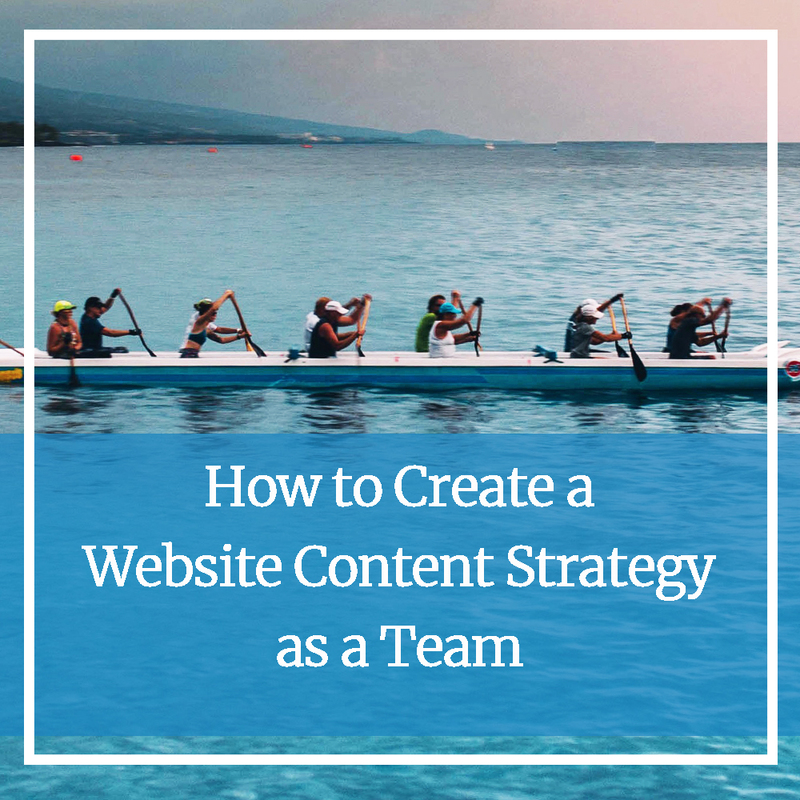 With a small amount of prep work, you and your team can bring a cohesive website content strategy to the table. Who’s in charge? The best way to start is to get together with the team of individuals who are responsible for the website project. From there, choose one main contact from your team so all communication is sent and received by one individual. As a team, decide what the ultimate goals for your website will be. For example, what are you trying to do with your website? Are you trying to gain more leads? Are you trying to grow brand awareness? This goal will help shape the rest of your content decisions as you strategize. Brand voice in a few words: Take a moment to write down three or four words that describe your brand’s personality. Are you quirky? Are you professional? Allow your team to throw in their suggestions and then choose the top three or four that work best. Consider your beliefs: Start by discussing your business’ beliefs or core values. Then discuss what tone of voice you need to use to communicate these values to your customers. For example, if you believe in a high level of customer service you might use a friendly and open tone. You can gain valuable insights into how you want your website to look and function by observing your competition. Look at your competitors’ websites. Discuss what your team likes and absolutely hates, taking notes about why along the way. With your brand voice, goals and wants identified, it’s time to solidify everything into one cohesive strategy. This strategy will allow you to enter every design meeting or content creation session with a singular voice and goal, ensuring greater success for the overarching website project. Can’t Reach an Agreement? Schedule a Strategy Session. Still can’t reach an agreement as a team? Your website project depends on a seamless strategy for your business. Now’s the time to schedule a content strategy session to help you get your marketing plan and brand in place. To learn more about a strategy session or about creating a content strategy, send us a message.